The Spotted Tongue: Happy St. Patrick's Day! Dahlia's just about the most patient dog that I know. 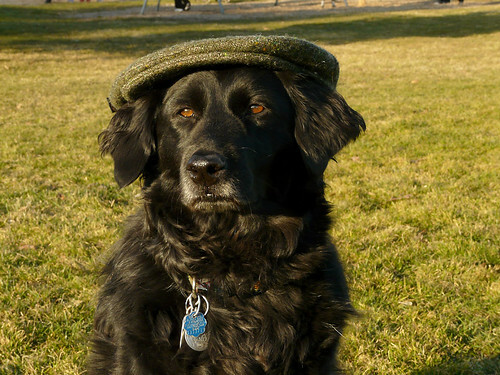 Most dogs would not sit still for a photo shoot involving an Irish cap that was, ultimately, far too big for her head. But not my girl! Oh no, not at all! After a few minutes of acclimating her to the hat, she sat straight and proud with her ears up. My girl is a pro! So Happy St. Patrick's Day from Dahlia. She really looks quite snazzy in that hat, doesn't she?